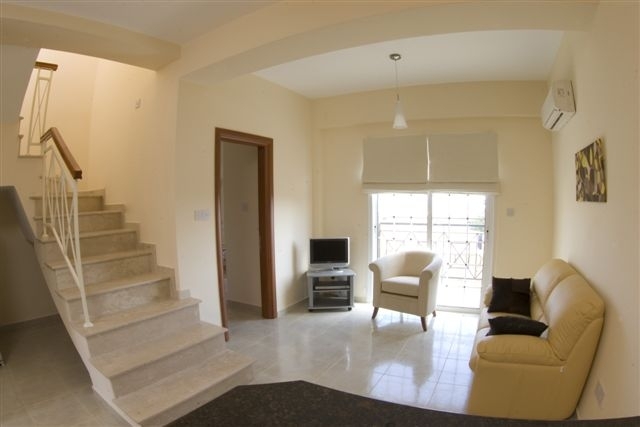 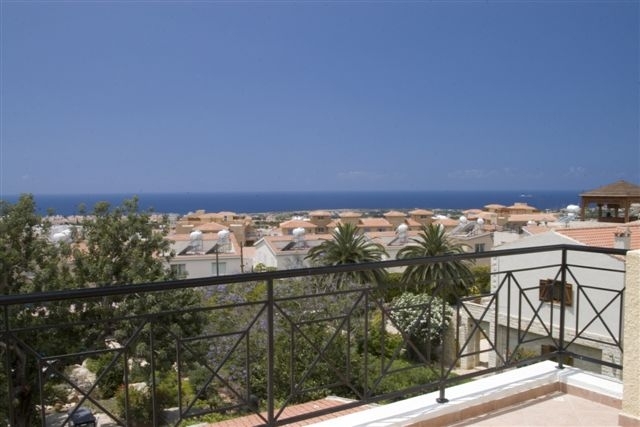 A one bedroomed penthouse covered area of 50m2 with internal marble staircase leading to a very large private roof garden (38m2) with stunning sea views of the coastline from Paphos to St Georges. 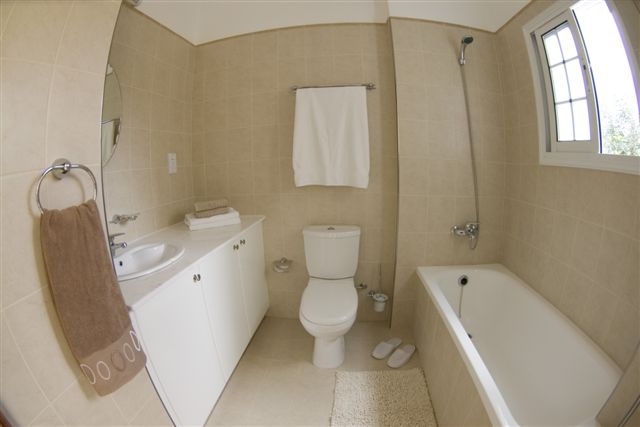 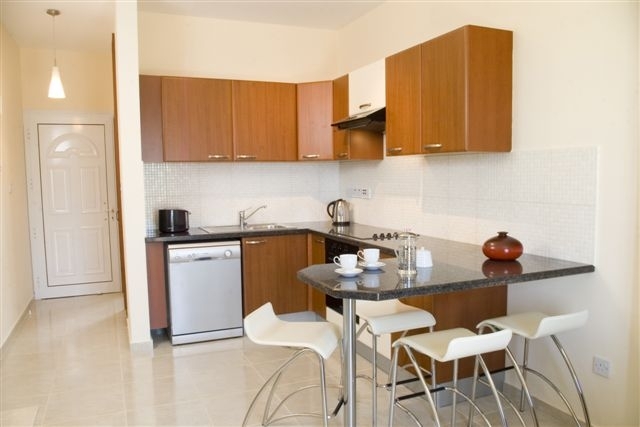 The apartment is fully furnished in a classical stylish colour scheme of cream, gold and chocolate. 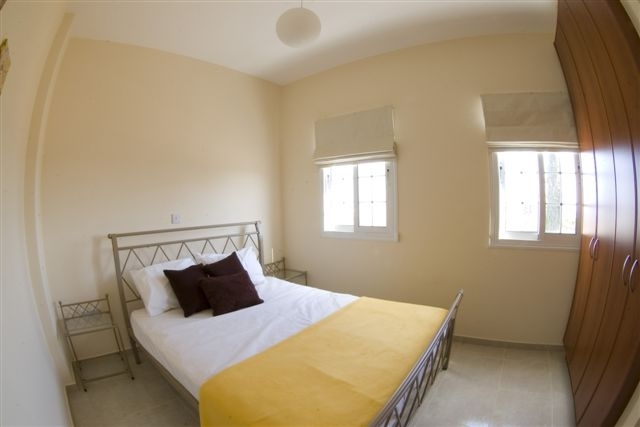 The large bedroom has a handmade cast iron bed painted to co-ordinate with the colour scheme.